Hey you all! 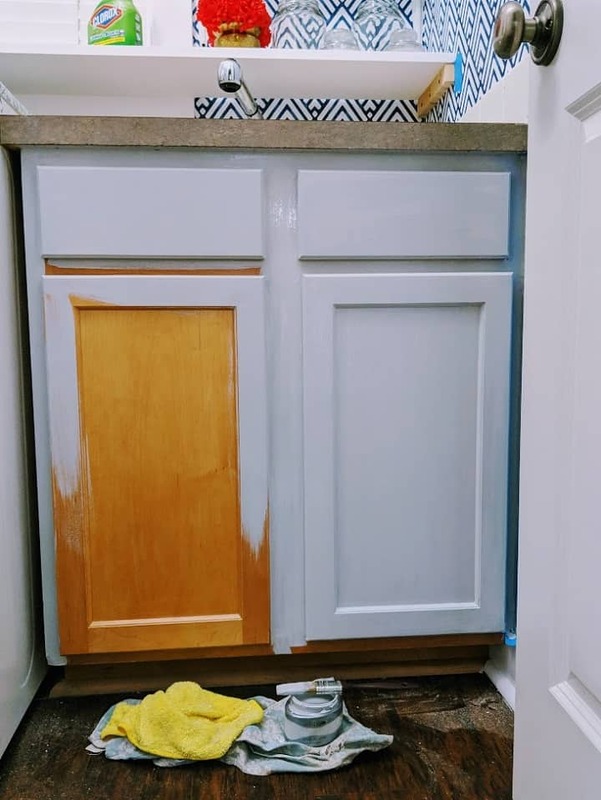 I know you are waiting for my laundry room reveal and I am like a big teaser… Not really, friends. I’m just giving the laundry room the final touches. 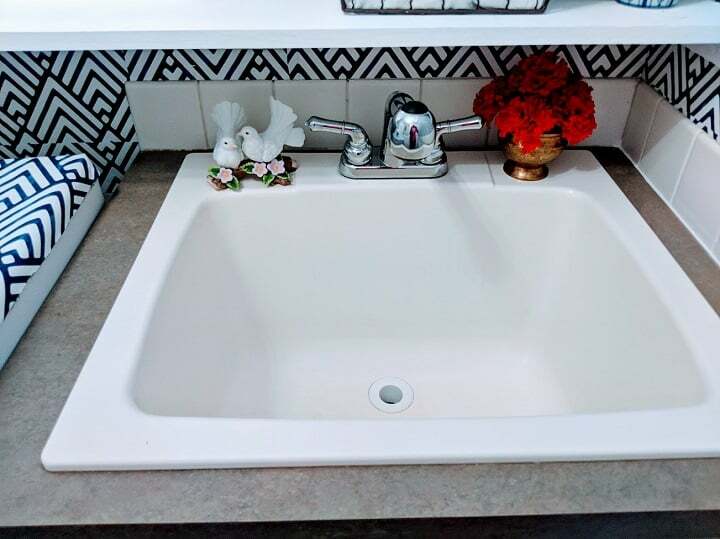 Well, today you are going to learn how to turn a very boring and dull sink into a modern farmhouse vanity to spruce up your bathroom or laundry room. The reason is to show you all that in bits and pieces, and eventually I’ll get to show you the laundry room reveal. You will have the resources handy in case you would like to try it out for a good DIY project. The answer to this question could be really broad, but we are just going to touch it lightly. Our house is a craftsman style house. More modern vs traditional, but some of the stuff in our house seems really old-style. 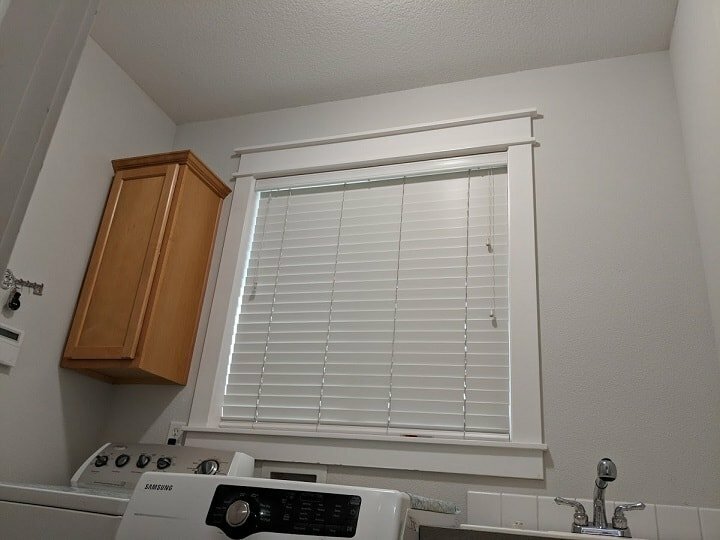 I am not into changing the fixed structure at this point, as we have just purchased our house and it’s pretty new. I didn’t want to go with a classic farmhouse style either as it would have not worked for us, so I decided to go with a modern farmhouse style, which is now more popular than ever. HGTV has brought this style really to life. Don’t you love all those designs Joanna shows us? Sticking in the middle is a great idea. 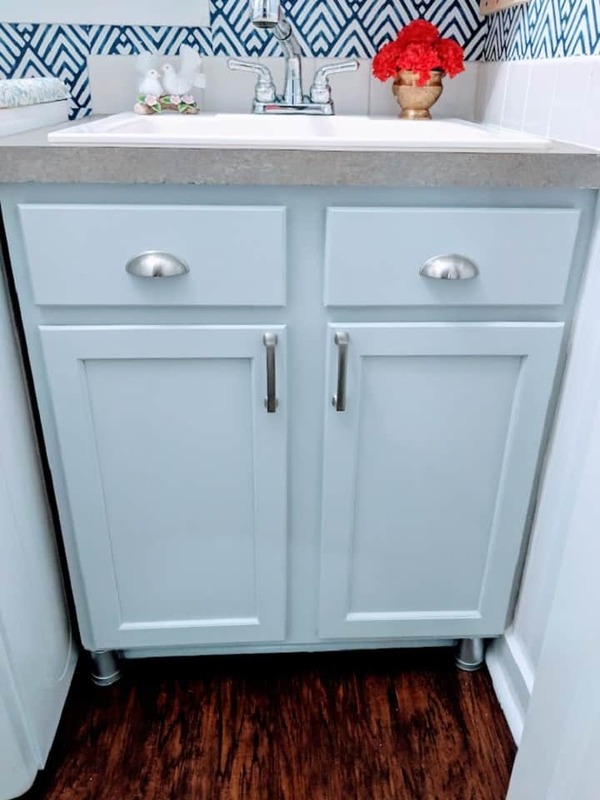 Hence, we are giving this vanity a makeover into a modern farmhouse style. What Is A Modern Farmhouse Style? The classic farmhouse is more similar to the country style and more traditional. You feel very comfy in your house and feel good vibes. It’s very affordable if you use do-it-yourself projects. This style is all about mixing comfortable furniture with salvaged material such as made with reclaimed wood. There is not much clutter involve with it. Overall, it’s very relaxing. The modern farmhouse is more like contemporary style. It still has some features of country style with a more sleek and modern look to it. The main color is cream but used with neutrals. It has bold and bright hues. 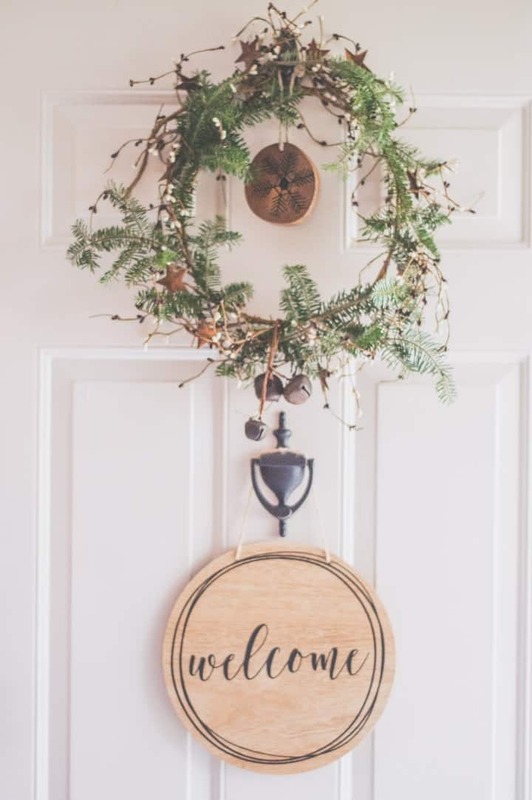 Natural wood accents complete any farmhouse style regardless of if you are using it in wood panels on any wall or exposed beams on the ceiling. Most of the furniture is stained and you can use old items, and they can easily be re-purposed using paint and a bit of wax, as this style of furniture doesn’t have to be perfectly painted. Vintage inspired items and chalkboards is a part of both the classic and modern farmhouse style. 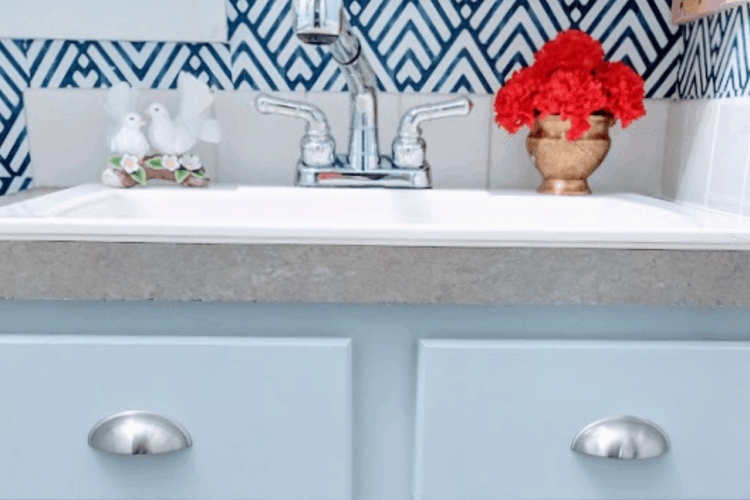 There is just a short list for your supply and tools in order to turn a drab vanity into a modern farmhouse vanity. Here we go with the list. Here is how the vanity looked before. It was very bothersome to the eyes. But on the other hand, you can see the potential in it. Okay, are you excited to turn this boring piece into something totally different and stylish with me? You clearly can see, how boring and sad that is. Oh well, the whole room’s vibes were the same as the vanity. A thorough cleaning is very important. 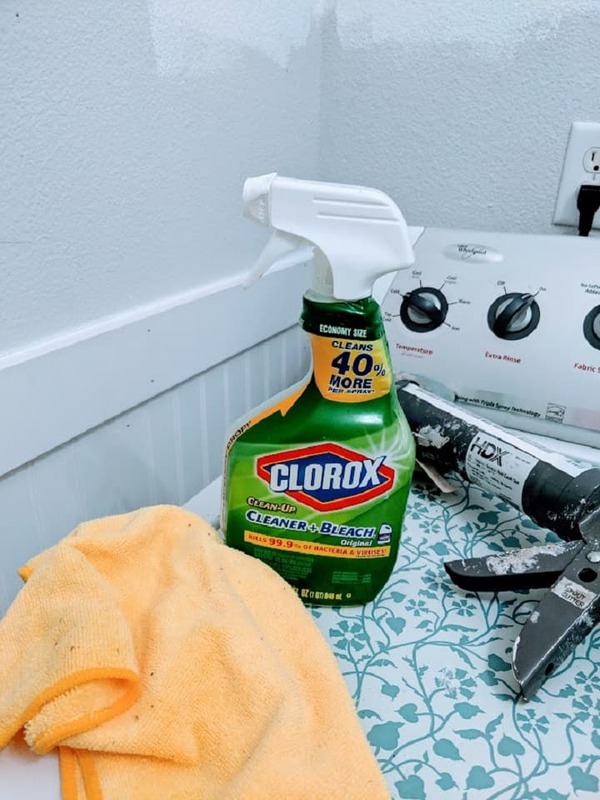 Give it a good cleaning with Clorox using a rag. By following this process, you can turn any cabinet/vanity into a stylish addition in any room. Once you have finished with cleaning, let it dry for a bit. Sand very lightly or according to your needs. To this vanity, I really didn’t have to sand much. I just did a bit of sanding so the paint was able to stick to it. Without sanding, it’s hard to adhere the paint onto a piece of wood, veneer, or laminate. Some furniture needs more sanding over others. Wipe off one more time after you get done with sanding. Using 120 grit sandpaper. So here is a quick tip for you for vanity like this, which is small with two doors. No need to buy a full or half can. A paint sample is a clever way to go. You don’t need primer at all with this paint. This is a Valspar color sample in Satin Base A 773923. It’s super nice and soothing to the eyes! No need for primer at all. There are two reasons for picking a gray color. 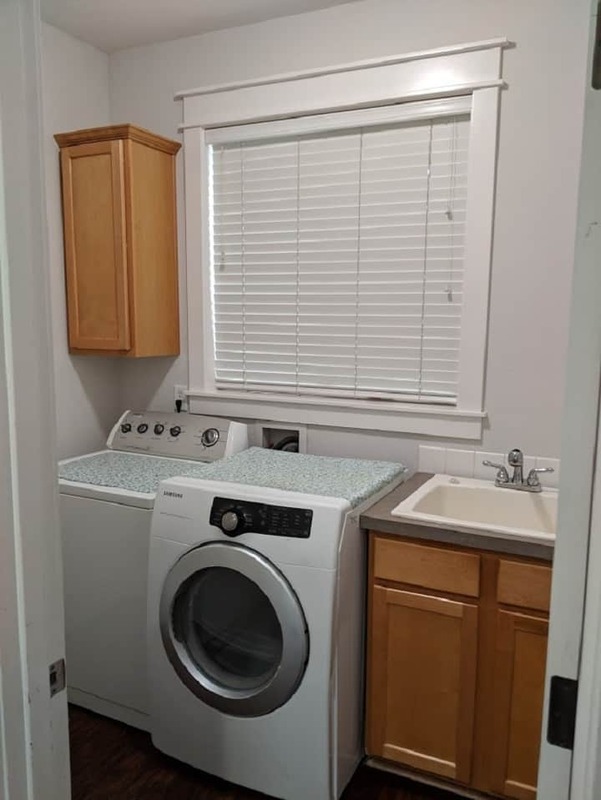 Number one is that gray is very soothing and it was perfect for the laundry room. 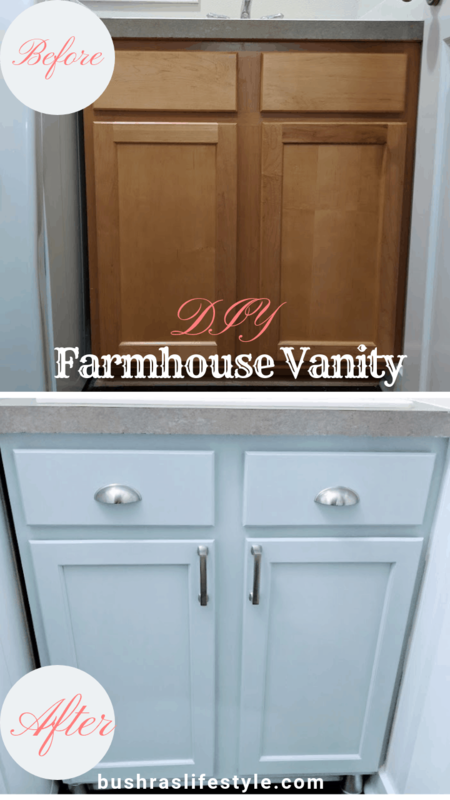 The second reason is that the gray family of paint is the one used in farmhouse styles the most, and we are giving this vanity a modern farmhouse look. Always use a brush instead of a roller for a better result. The painting should not take you long and you would be surprised to see the result using this perfect paint! No brush strokes or marks. It’s a very clean and smooth finish, plus quick drying time. Let it sit for a couple of hours for it to completely dry. 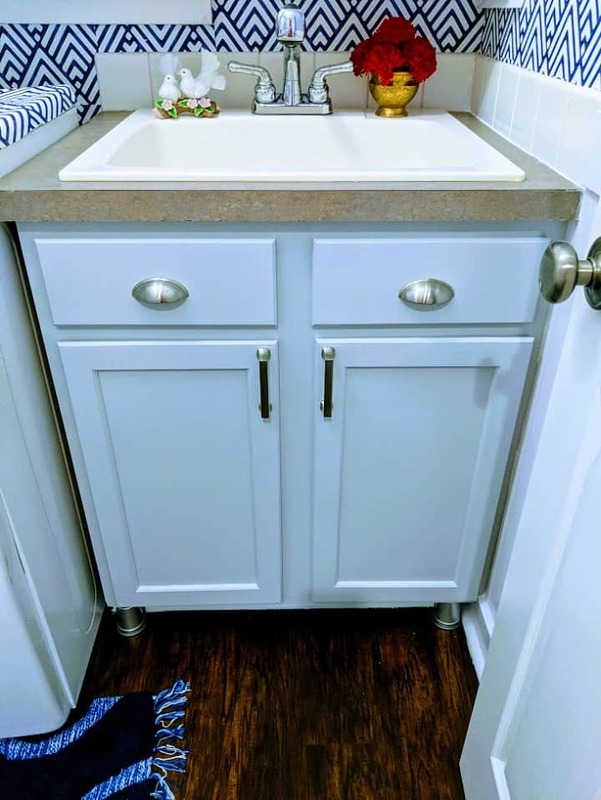 This vanity did not have any hardware on it previously, but as you know, the hardware is an ornament for any cabinets/vanities. Especially the way farmhouse style vanities are with all kinds of unique hardware. My husband installed the hardware and it was not a difficult task at all. You can easily do that by yourself. Don’t you think they look gorgeous and add a real farmhouse style charm? 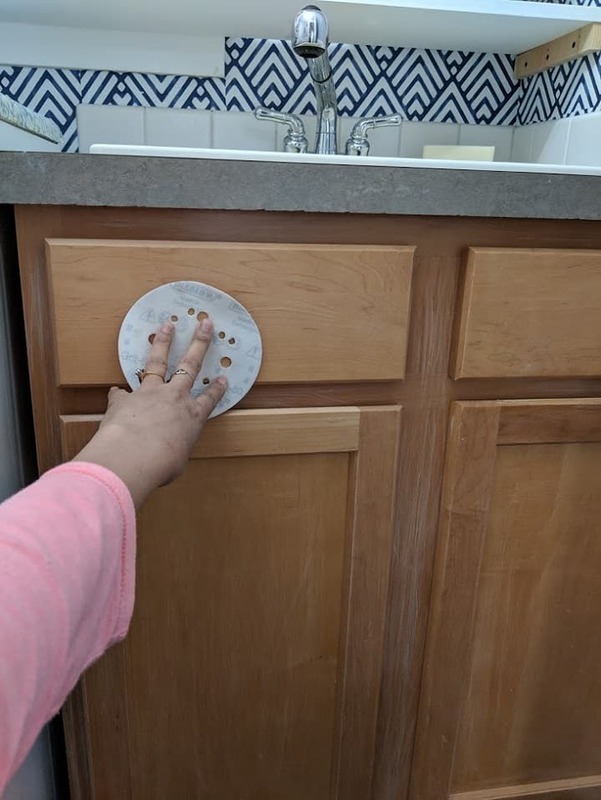 Use something, like fingernail polish, to mark where the screws will be installed. After measuring, press firmly to mark where the holes will be drilled. Verify the marks are there and in the proper location. Make sure the marks are level. 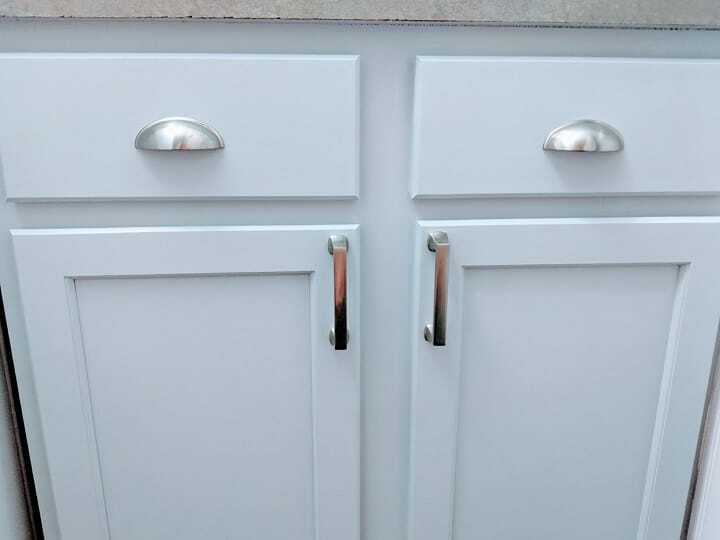 Screw in the screws from behind while holding the handles. Finished! 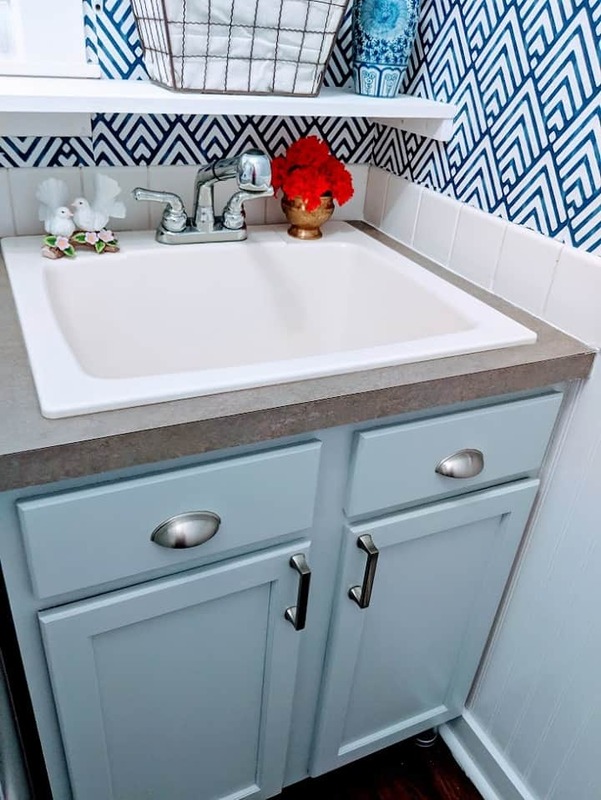 Have you seen all the new modern vanities are coming up with very cute and stylish feet to give them a unique look? Don’t worry if your vanity is without feet, as we have a solution for you. Feet can be easily found in any hardware store or online. If you can’t find your size, here is the way you can create your own feet as we did for this vanity. The feet I bought didn’t work for me, hence I created my own version with these recyclable playdough cans. Simply spray paint them and place them under the vanity with super glue. I hope you like this DIY project! Can’t wait to hear your thoughts on it! 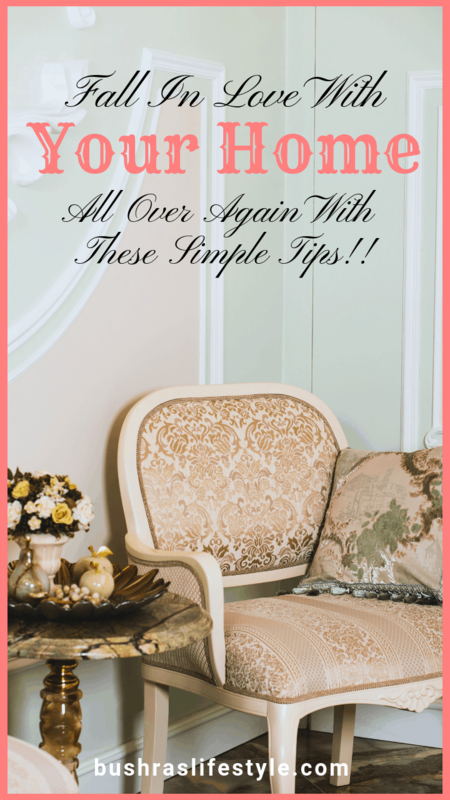 In this post, you are going to get wonderful tips about improving your life at home. We all know that sometimes we get very overwhelmed in our own homes. Especially after living for so long, it gets boring for us. 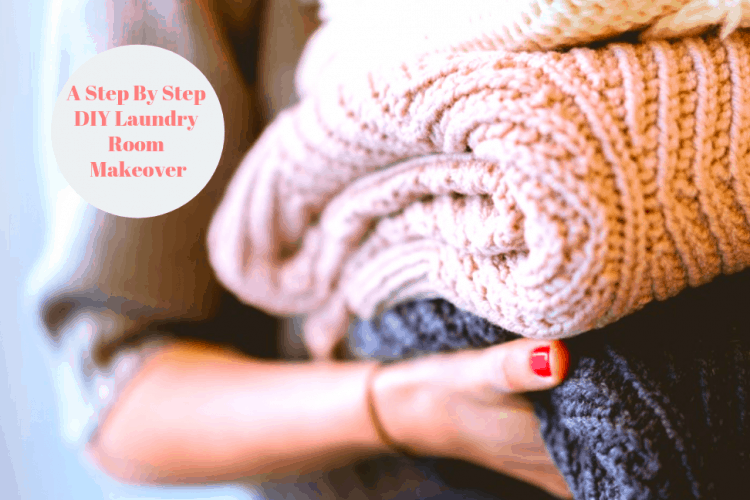 with these tips, you can stay in your cozy home instead of moving out of it. When you first moved into your home, it probably felt like your dream house. You had the right amount of bedrooms, bathrooms and enough space for the whole family. It was just fine to live comfortably without feeling like living on top of one another. However, as with everything, life inevitably changes, and families expand and grow. You might have had more children, or had an elderly relative move in with you. If you were to move, you would bring all your belongings in, and you would look at the blank canvas to start. It would be hard to decide the furniture placement and so on. When you have lived somewhere for a while, belongings accumulate. You know they accumulate in a way that is not necessarily the best aesthetically, or even the most efficient. Here is what you need to do in order to reorganize your home: Measure up your rooms, including doors and windows when open and closed. You should also measure up your significant pieces of furniture. 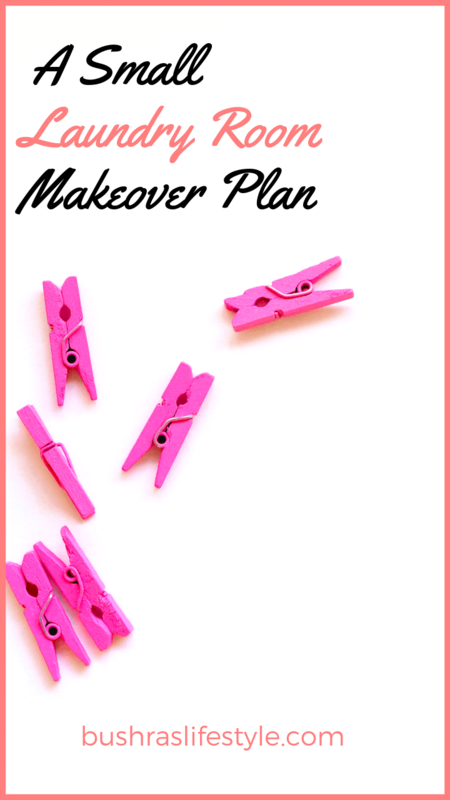 Write out your plan on paper about how they should look before giving them a reshuffle. 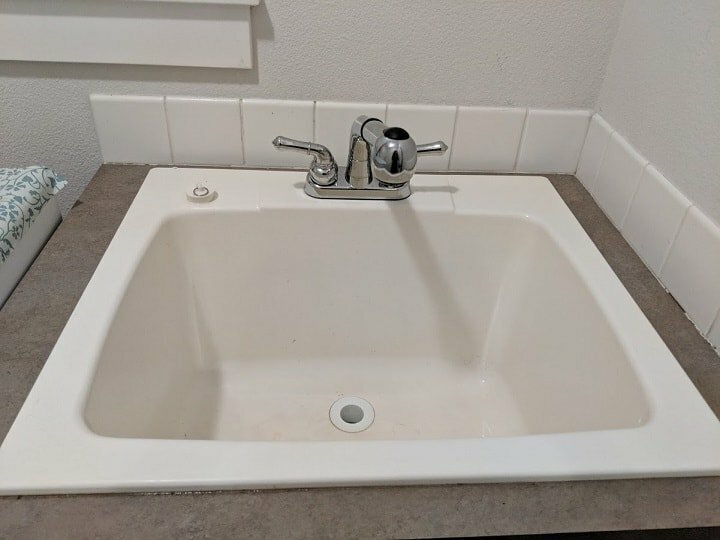 Sometimes this simple trick can bring a new life to a property. If you want to go a little further, could you look at reorganizing the layout of the house? Some walls (check with a contractor first!) 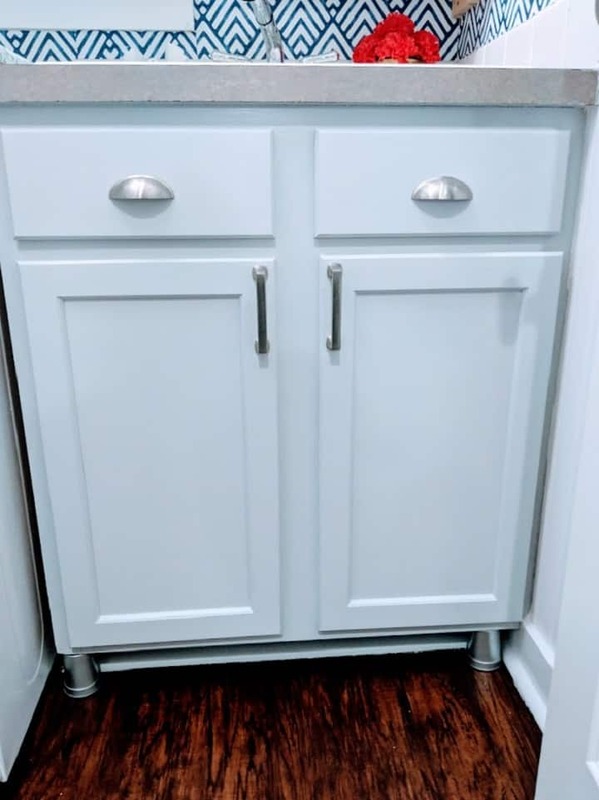 can be knocked through or moved to create extra space. You can also put in additional walls to make one large room into two smaller ones. Yes, it could be expensive but still cheaper than the hassle and worry to go through all over again. Leaving your lovely home behind is not easy friends. As you all know we have moved out of our house last year. Believe me, friends, it still hurts. Some of my recommended storage solutions for you. As I mentioned in the point above, after living somewhere for a while, we all tend to accumulate belongings and fill the space. 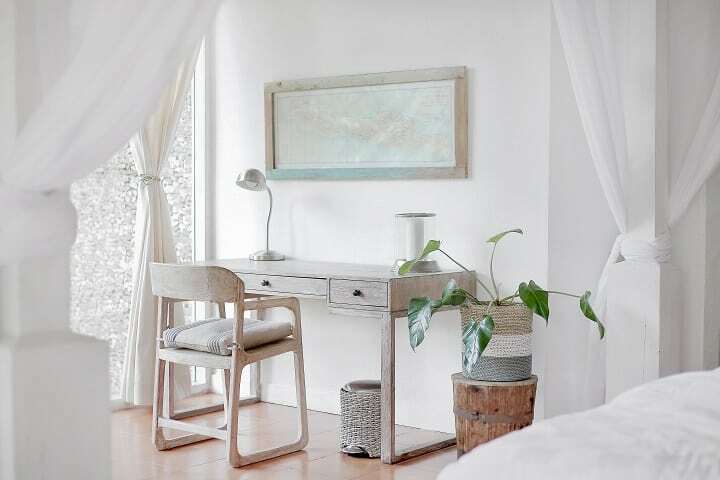 At the moment, there is an absolutely colossal focus on decluttering your home, thanks to the popularity of Japanese tidying up expert Marie Kondo. She advises people to let go of any items that are not of use or provide any joy to their lives – wise words indeed! By having a good sort out, you will be able to find any long lost or forgotten treasures and get rid of anything you no longer need or use. If it is in good condition, try selling it. eBay and local Facebook groups are a great way of doing this. The benefit of this is that you can also earn a few dollars to put towards an extension or redecoration project. If the item is not sale-able, consider hiring a large bin from http://www.budgetbinhire.com.au/ to get rid of all the clutter and junk in one simple go. Here in the States, we have several of the junk removal companies. I mentioned some of them here. Once you have reorganized the space and decluttered, it is time to look at storage solutions. A lack of decent storage can sometimes be the biggest issue. Storage units and boxes are great, and allow you to move items about. More permanent solutions might be adding the shelving wherever needed. If you have oddly shaped rooms, shelving also could add some charm to the room. If things are starting to look a bit drab, it could be time for a spruce up. 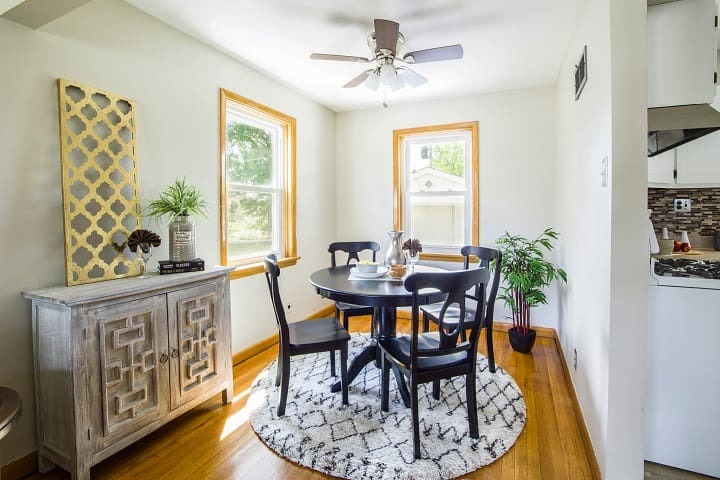 A newly painted ceiling, fresh walls, and even new flooring can work wonders. 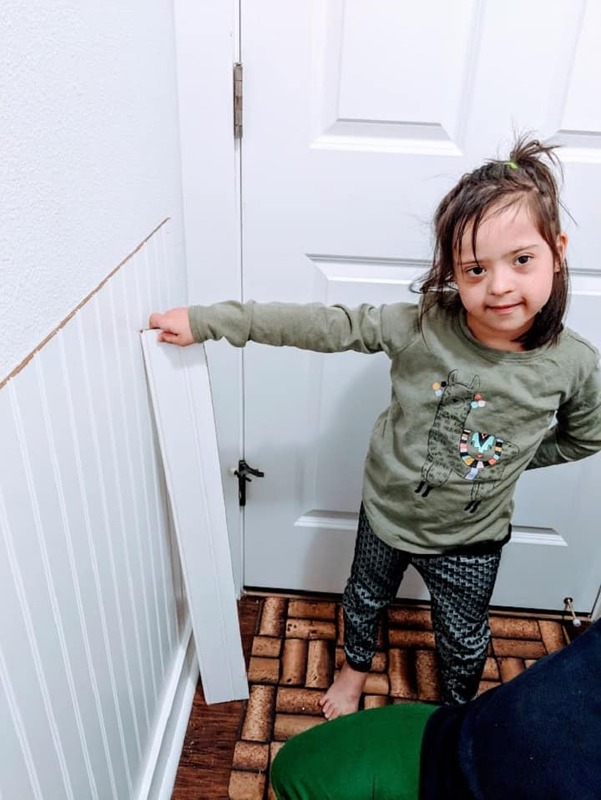 Any tired woodwork or surfaces should be replaced, including skirting boards, kitchen counter-tops, and even door and window frames and handles. Take time to coordinate soft furnishings with wall colors. Tidy away any clutter, and let the brightness and openness of a newly painted, more minimalist house help you to appreciate your home again. 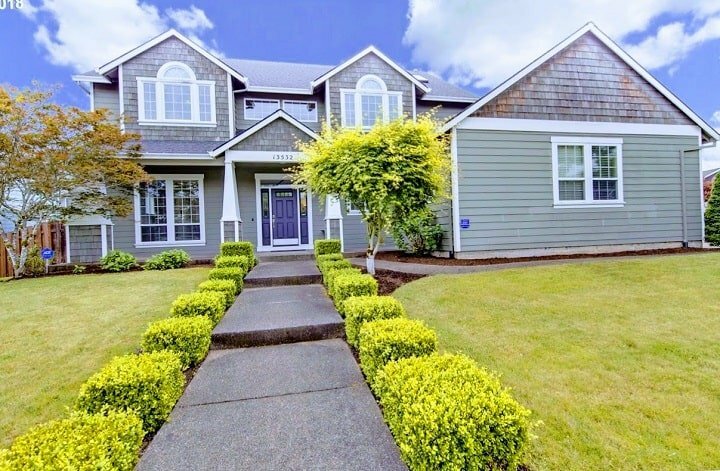 If your family has grown since you purchased your current home, or you are planning on it growing at some point in the near future, it could be worth considering an extension on your home to add bedroom space or living space. Think about the difference a whole extra bedroom and a larger kitchen could make to the general day to day running and comfort of your home. Get a free estimate form a contractor to see how much an extension could cost you. You will find it is a whole lot cheaper than purchasing a new house. It can even add significant value to your home, should you want to move out in the future. Obviously, it depends on if you are able to get the appropriate planning permission from the city and that you have space for it. If not, could you consider a free-standing room in your back yard? These are not just glorified sheds but have an electricity supply, insulation and even plumbing. It could make it a perfect home office, guest room, or craft room. They are super popular in Portland. You can guarantee there is a space in your home which is not currently being used at all, or not being used in any way effectively. This is most likely an attic, but could also be cabinets under the stairs, a garage or a shed. These are just wasted space. An attic could be an extra bedroom, an office, or a home gym. Cabinets under the stairs could be a second bathroom if it’s large enough. Converting a poorly used space is a great way to add a feature to your home. It’s pretty much a bonus for you. It does not necessarily have to be undertaken by a professional, you can do a lot of it on your own. Disclosure; This is a sponsored post but all the tips are based on my personal experience. So, don’t give up on your lovely family home just yet. All it might need is a lease on life and a bit of extra add on space. Here you go, you’ve got yourself a forever home! 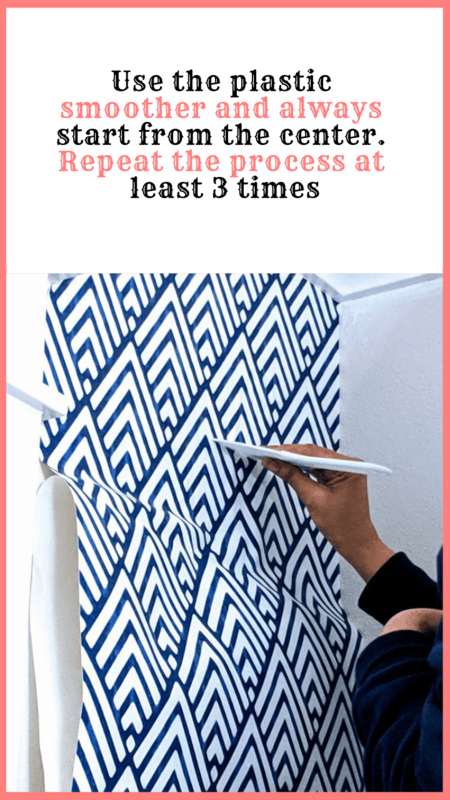 Removable wallpaper is so much in fashion these days, and it makes for an easy DIY project. As you all know, my laundry room is a work in progress right now and we are cleaning, decorating, decluttering, and organizing. We are together in this challenge and, thank you for being with me so far in my declutter and organize series. 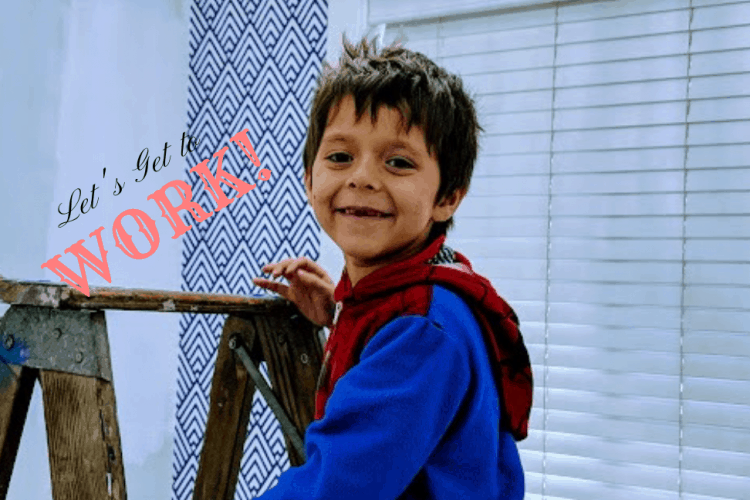 I decided to go for a DIY removable wallpaper for the laundry room project! 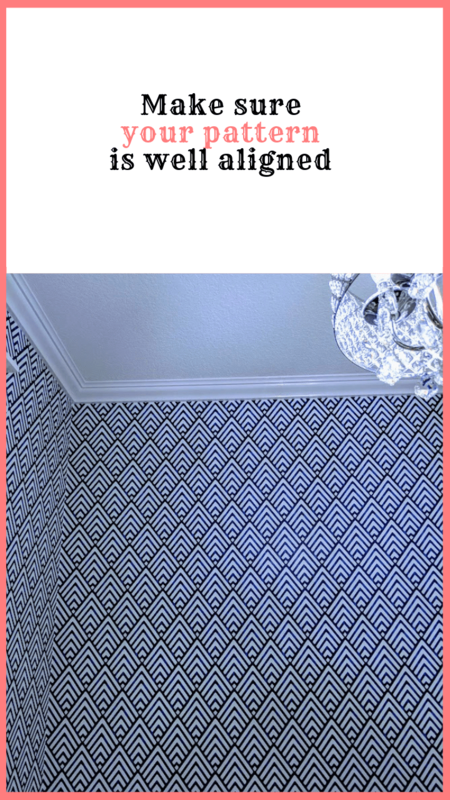 Although DIY removable wallpaper looks beautiful, it doesn’t work for every room. For instance, you can’t put it in the bathroom, as moisture would ruin it very fast and it can come off easily. It’s great for people like me as I am someone who constantly changes my decors. 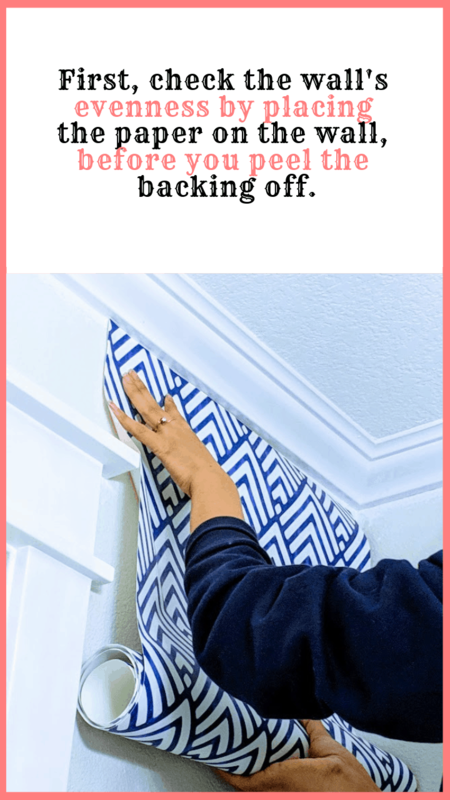 If you are like me, go for DIY removable wallpaper as opposed to the traditional type, because it’s really easy to remove, and leaves no damage to your wall or paint. Once you decide that this is what you want in your decoration project, you are good to go. 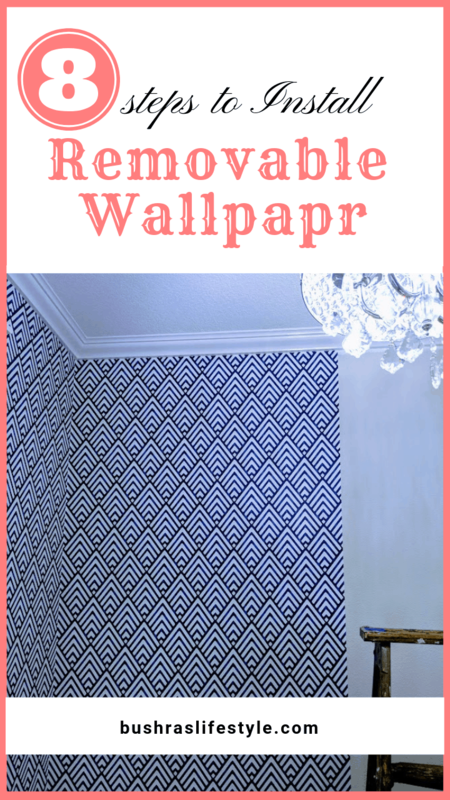 Amazon has several of these DIY wallpapers and they are very affordable. All you have to do is measure your area in square footage where you want to place them, and order the wallpaper rolls. In my opinion, DIY removable wallpaper is a great substitute for a traditional wallpaper and less daunting to use. It’s much easier to reposition. The chances of messing up are very minimum. There is “no risk” involvement… and this tutorial is going to make you a pro, anyways!! Before we begin, I would like to mention a few things. Check your rolls for any damage or miss-print before the applying. Have enough rolls to complete the job. Running out of wallpaper during your DIY project would not be a great idea. Make sure that the color is correct and the print is the same as you ordered. Once you check all these things, you are ready to start! The backing is very easy to remove but do it very slowly. What I did was place my paper without removing the back first, in order to check the position. Once I was sure where I wanted to place it (as my walls are not even at all) I made sure it sat where I exactly wanted it to be without skewing it. You can use your level to get a perfectly even look. I then slowly removed the back for maybe 6 inches, and gradually worked my way down the wall. I should mention that I had to remove the wallpaper several times just to correct the position. It was a bit time consuming, but the greatest part is that it’s very easy to rehang. Peeling the back slowly is a magical step. Draw a straight verticle line using your level, or long ruler, 20 inches from the left-hand side of your wall (that rule is what the manufacturer recommends). I start from the right side….shhhh! Perhaps, if you are hanging this DIY removable wallpaper to a feature wall, then start in the center to ensure symmetry in your design. By now you all know how much I care for symmetry! The first panel is where you have to be extra cautious. The rest is easy. Leave at least 2 inches extra on the top. If you have a bit of a crooked wall, then you just visualize it. After you stick the wallpaper to the desired wall, then slowly press it in with your hands. Finally, use a plastic smoother to push out any air bubbles from the center outwards. Applying gentle pressure, use the smoother tool over the full length of the product to make sure there is proper adhesion to the wall. I would repeat this step at least a 3 times. The second panel is way easier to hang than the first panel is. Check that your pattern is not upside down! I didn’t care for overlapping when placing my second panel. All I cared for was to match my pattern correctly. My design would have been compromised by overlapping it. If your pattern is not aligned nicely, it will not look pretty and will not give you a professional look. If you find it difficult around the corners, just cut accordingly. While working around the outlets, windows, and doors, keep your scissors and utility knife a the ready. I was surprised to see how easy it was to work with the removable wallpaper. There is no need to remove the outlet cover. If you cut your edges nicely, it will look pretty good. It was a bit hard to place around the window as my wall was small, and I was left with a tiny space to work with, but finally, I figured it out. Once you are in the flow, everything will come easily to you. Snip the paper in the window crease to give it a more professional look. I didn’t care to match the corners as I am going to install shelving on that wall, but you should pay attention. I know you all are waiting for the laundry room. It’s coming along, guys! The wallpaper project has been completed, but I can’t show you the full picture, yet. Cutt any excessive wallpaper using your craft scissors, or paper scissors. Then, use a utility knife for straight and smooth cutting. 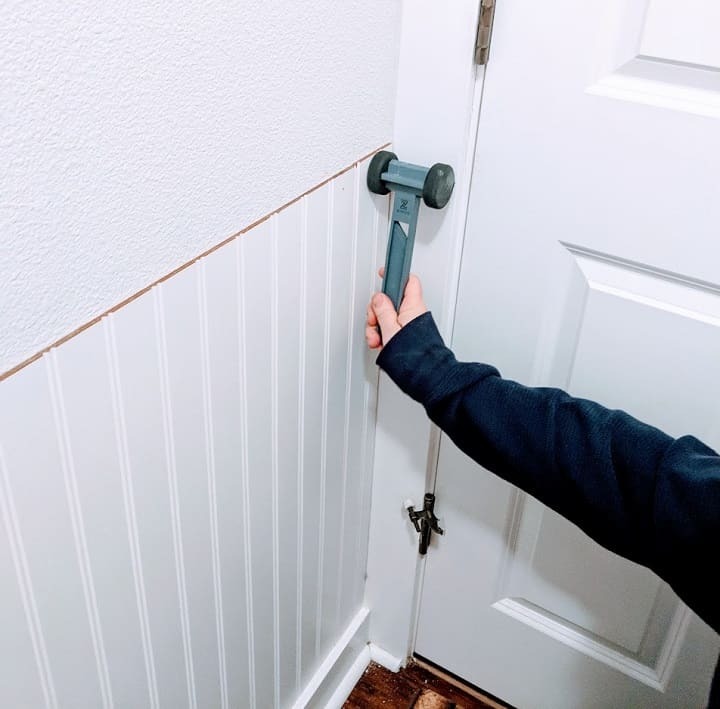 Be a bit careful while using your knife, as I am guilty that I scratched my new molding and top boards above the wainscotting for the first couple of cuts until I figured out that I can place a metal ruler behind the paper for a sharp and smooth and flawless cut. Be careful when you get to the point where you can’t use the full-width panel. 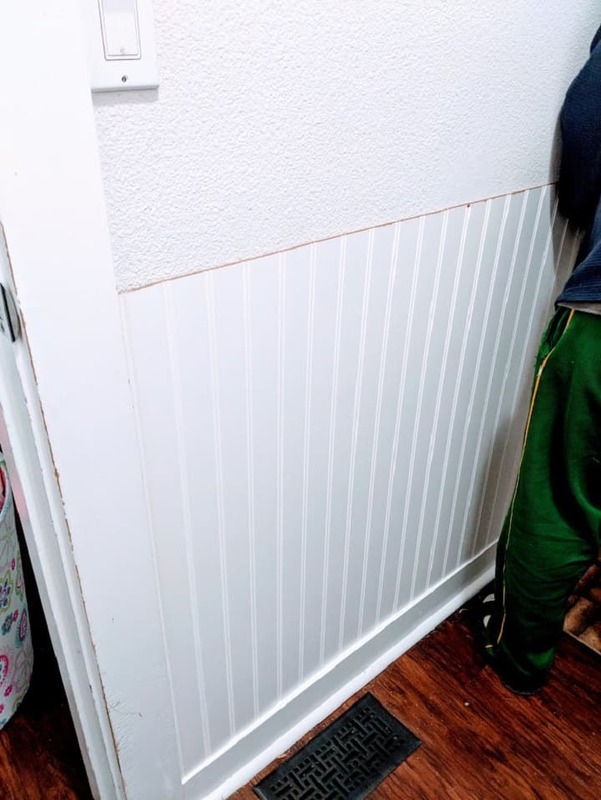 The most important part here is to align your panel first then peel off the backing for up to 1 foot, and stick it to the top of the wall. Once it’s placed, then use the scissors to cut the required width by leaving a bit extra on the side just to give yourself a cushion. Small areas are a bit tricky. I have to be honest that I struggled a bit with them, but if you have extra help, it should not be that difficult. Repeat step 1 to 6 when you start a second wall. It’s going to be the exact same process. You can cover as many as walls by following these steps. 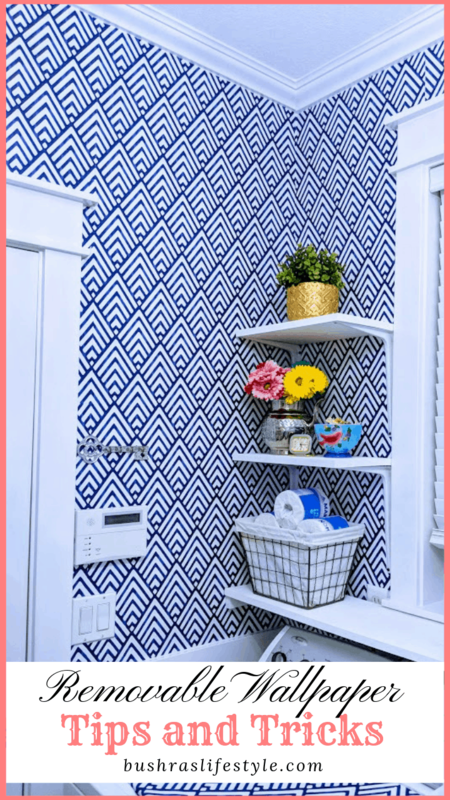 I am actually going to use the same DIY removable wallpaper in a different design for our rooms for feature walls, as I really like how it turned out in our laundry room. 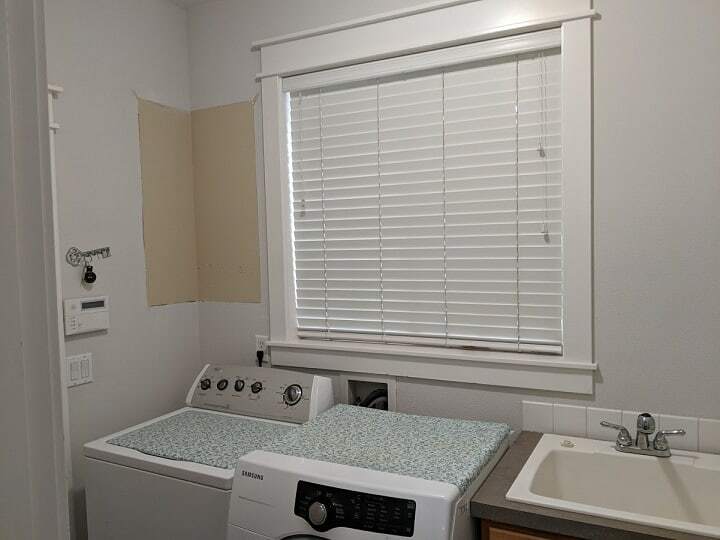 Once the entire laundry room was finished, I checked all the walls again for any bubbles or air under the wallpaper, or if there was any rip or tear. I also used the smoother tool again one last time, just to give it a very smooth and sleek finish. My walls are textured, and this paper is not really recommended for the textured wall, but I didn’t care for the manufacturer’s instructions. It really looks great! 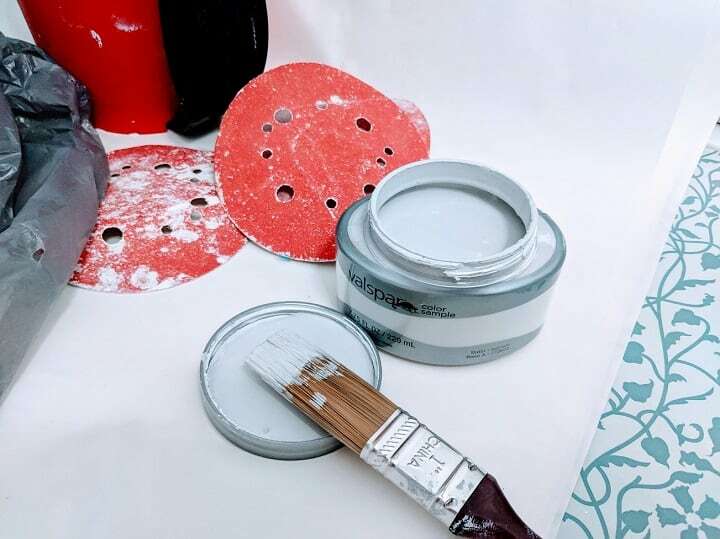 A good tip for you: If you are really worried that the wallpaper will not stick for a long time, then you can use adhesive spray on the bottom and top of the paper to give it a stronger push. I haven’t used it yet, but if in a few weeks if I see that it’s peeling off, then that’s the option I have in the back of my head. So there you have it, all my tips and tricks. and it’s not really hard! It is a bit more time consuming, but on the other hand, you will get pleasing results with a great eye-catching look! Tell me if I missed anything. Or, if you like traditional paper as opposed to this DIY removable wallpaper? Here are some of my favorite designs for you! Hey guys! 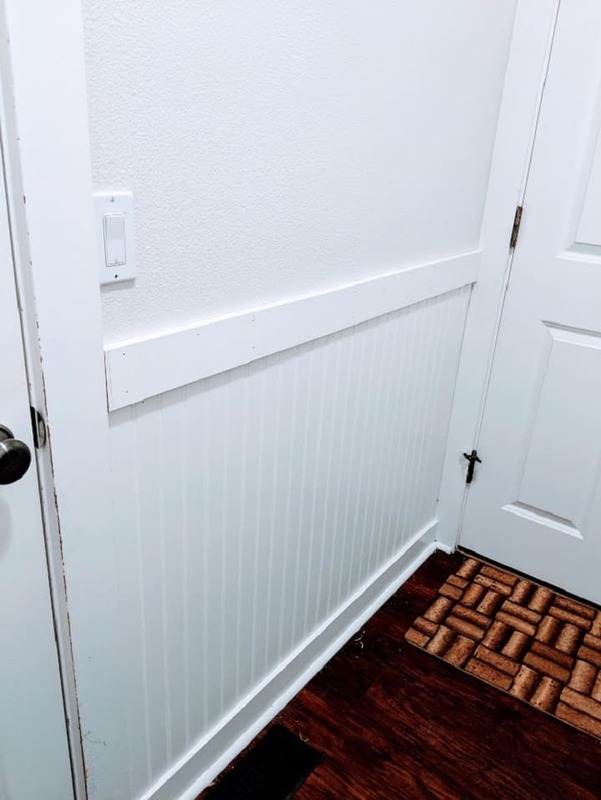 Let’s talk about how to paint doors and trim. 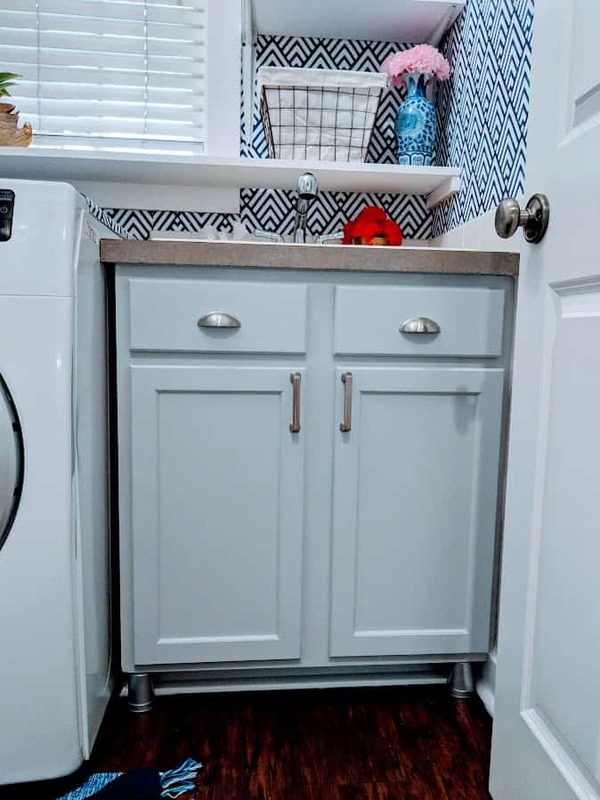 I know you are waiting for my laundry room reveal, and it’s hard to wait, right? The laundry room is coming along really well, and if you are following me on Instagram then you are aware of the progress. 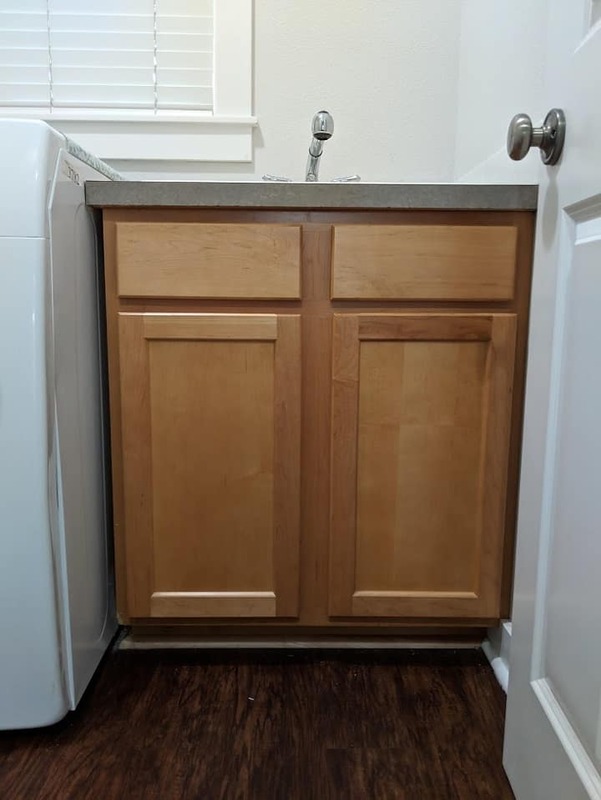 This post is actually a part of the laundry room. 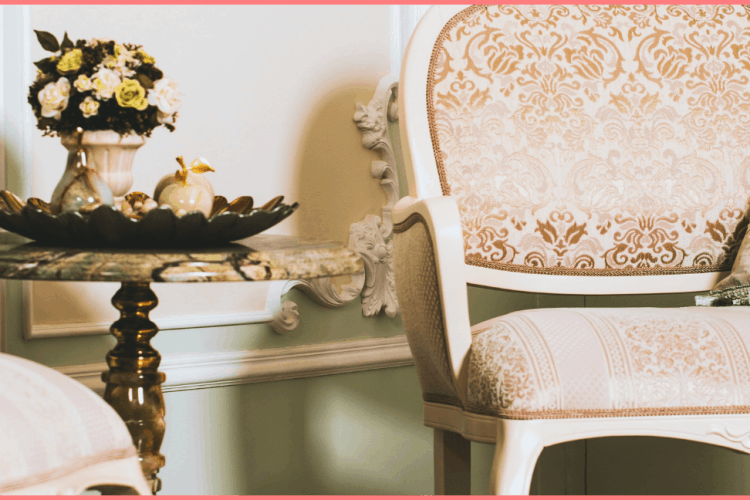 When you think of redesigning or decorating any corner of your house, you go through a process. As I always say, “Decoration is a process to go through and over time you get really good at it”. To me, the entire decor process is therapeutic and I understand that, on the other hand, it can be tiring as well. However, if you make your plan before you start anything, you already achieve 80 percent of your goal in order to accomplish a task. Walk through the room and start thinking what would it take to make it presentable. Sometimes a can of paint can do the magic. I our old home I have painted all our trim and doors to give them a fresh look, and I am going to do the same thing with this house. You have already seen my small closet I painted, and it’s just the start of a lot more to come. These are some of my most favourite supplies especially the paint. This is not a sponsor post at all, I am recommending this paint absolutely on based on my personal experience. The first thing I would do is clean the doors and trims in order to get rid of any dust or debris. 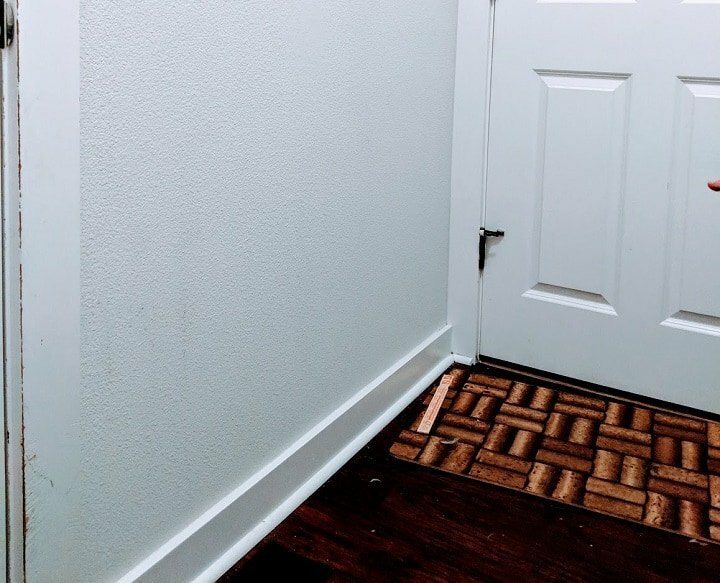 If your door and trims are not that messy, a simple dusting brush should be more than enough. But, if you have children who like to mess with everything the best bet is deep cleaning. I prefer homemade cleaner… Warm water mix with Dawn soap and a bit of ammonia. You can also use Clorox. Make sure you put a mask on while using either of the above-mentioned cleaners. Clorox with a microfiber cloth is best for cleaning. Put mask on, though. Once you are done the cleaning. 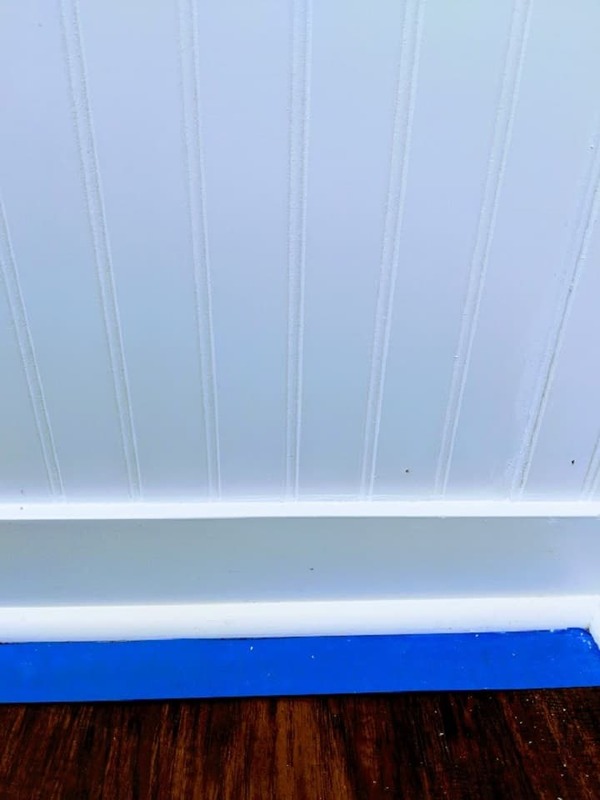 it’s time to tape off all the areas you don’t want to get paint on. If you are painting the first time I would recommend putting paper rolls on the floor just to be safe. 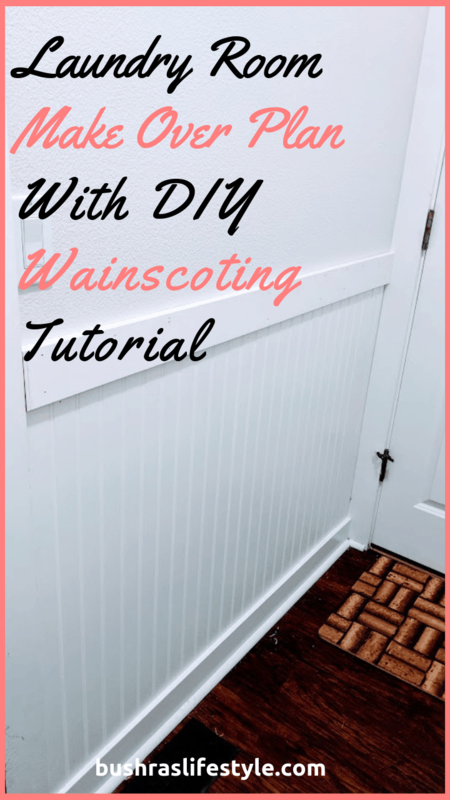 I always use tape on either side of the trim unless there is wainscoting, as in the laundry room I am working with the wainscoting. In this scenario, you would tape above the top board., and tape around the door casings. Excuse my messy floor as I was sanding the crown molding and everything was falling on the floor. 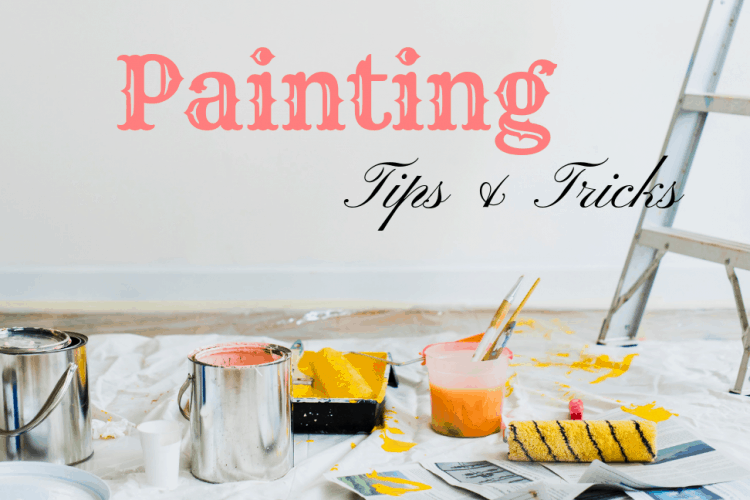 The filling is one of the important steps when you are thinking of painting your doors, trims, wainscoting, or even rooms. 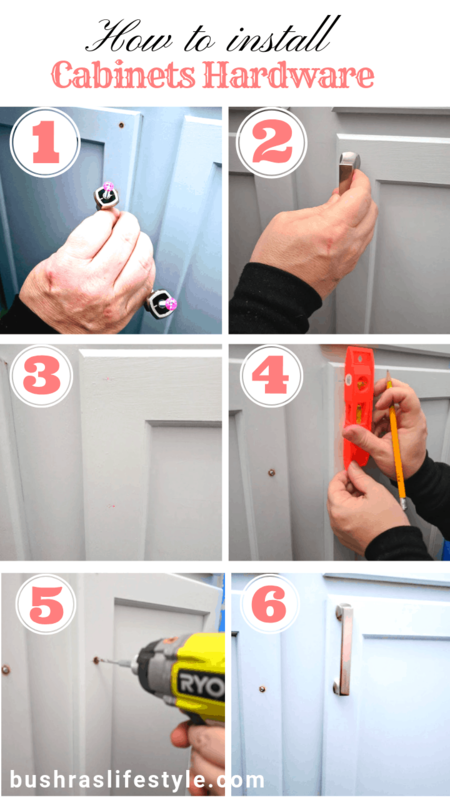 I know this tutorial is about “how to paint doors and trim“, but by following this easy process you can paint any room, including walls in the house. The best filler is DryDex. It’s like magic once you apply it. It looks like pink when first applying, but later on, it will turn white as it drys. Good tip: Don’t put way too much filling. Just use it to fill things up. As my husband is good at woodworking. But in regards to painting or prep, that man can’t do either of them. He really overfills all the cracks and holes. 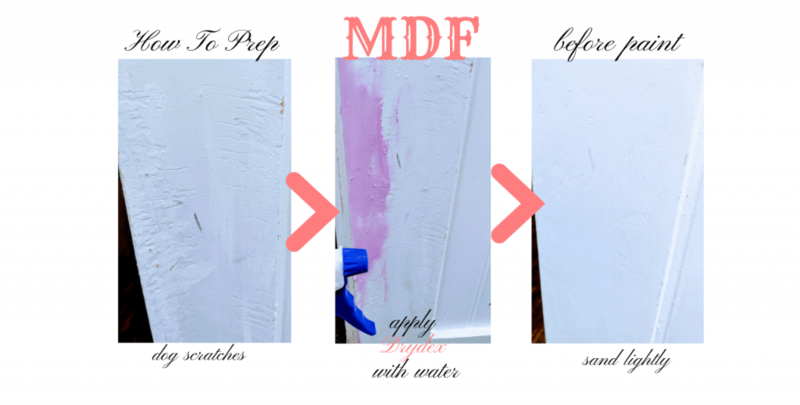 The last step in prepping for how to paint your doors and trim is sanding. I use 120 grit sandpaper and smoothly sand away from the extra filling. If you are painting walls, you can use an electric sander, but for doors and trims just use the sandpaper. Good tip: Be very careful when you work with MDF as it’s not the greatest to work with. In our old home, we had beautiful wooden baseboard but since this house is builders construction we have MDF all over. However, light sandpaper for MDF is just fine. You are with me so far and following the tutorial on how to paint doors and trims, right? Oh, just keep reading.. You are going to totally give your room a new and impressive look! Caulking should be done right before the priming job. 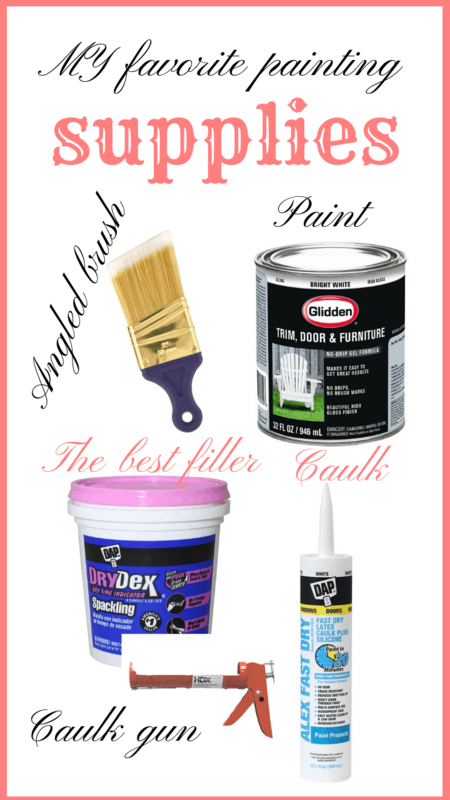 I have experience with both ways to use caulk before and after the priming. I personally found it more beneficial when you caulk it before, for the better results. Caulking really makes your job look very professional. Once, I was done with painting our guest room and I called the floor guy to fix something and he asked me who painted your trims. I said, “I did it”. He was very impressed, and said: “Wow, it looks like a professional did it!”. It made me so happy. It is a fairly easy process. 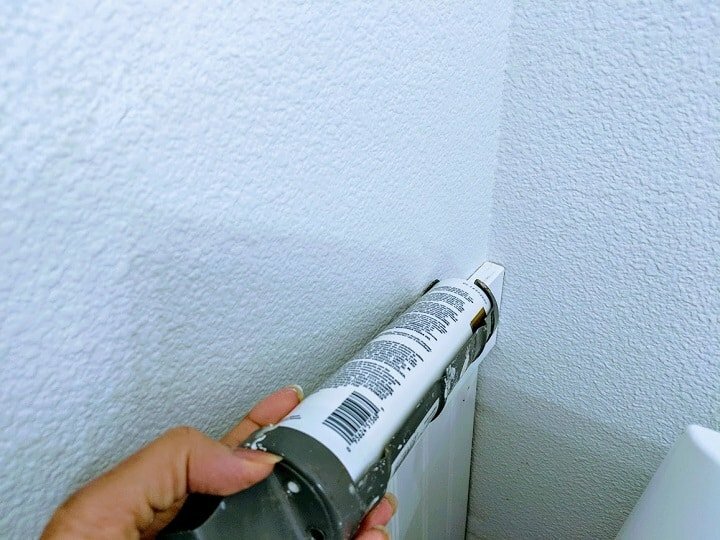 All you do is use your caulk gun to run a small line of caulk between the door casing and the wall, or wall and trim. I run in a straight line as I mentioned above. Frankly, I use a microfiber cloth to clean the extra or use my finger to make it really pretty. Some people use the caulking tool, but I am no fancy gal. I just make it work with my finger. You, by all means, can use the caulking tool. Priming plays an important role. Especially when you are using it on raw wood or on a darker to a lighter color. If you are going from darker to a different dark color, I would suggest using a primer with tint. Otherwise, the white primer is the best. I use Kilz primer. Use a paintbrush to apply your primer. 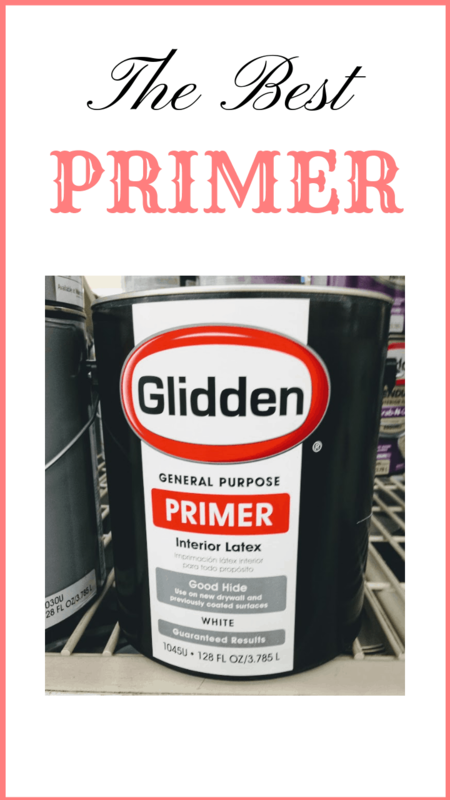 I have always used the primer in the past, and the results were fascinating! I only use one coat though, as one coat of primer mostly does the trick. However, in our laundry room, I have not used the primer this time, as it was not as messy as paint. I just wanted to give it a fresh look, so I painted away. Wainscoting needed paint as well. Priming really helps to prevent the dark stains or any imperfection. It also prevents your paint from peeling off the wood. This time I worked with MDF. Hence, I skipped priming. 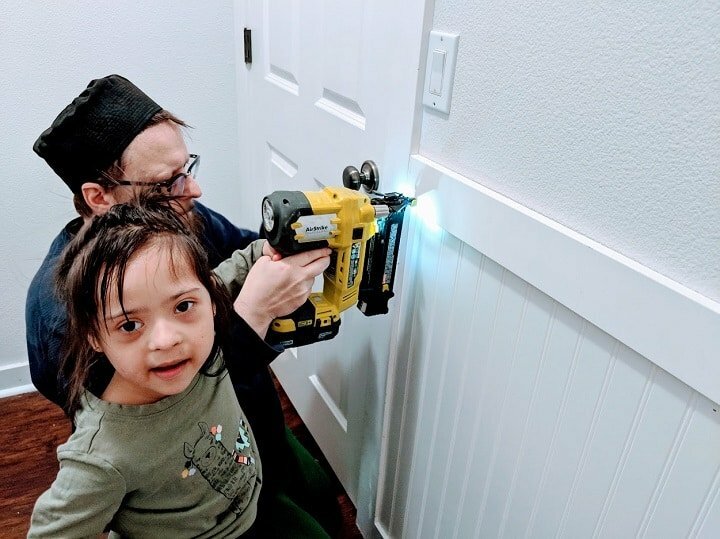 I am going to use it in our bathroom as I am replacing MDF baseboards with more durable ones because my kids splash a lot of water while taking baths. After you’ve done with all the necessary steps, it’s time to start the paint process. 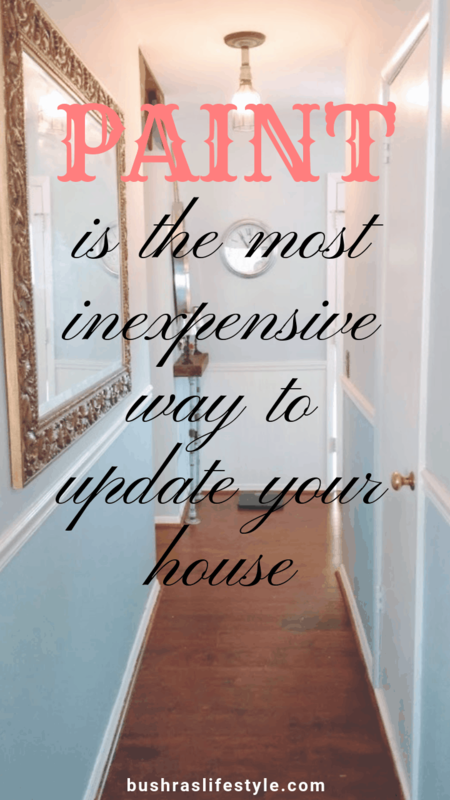 Yes, the pre-steps take time in order to get ready for how to paint doors and trim. Make sure your primer is dry before you apply your paint. I mostly wait for a few hours and that’s more than enough. 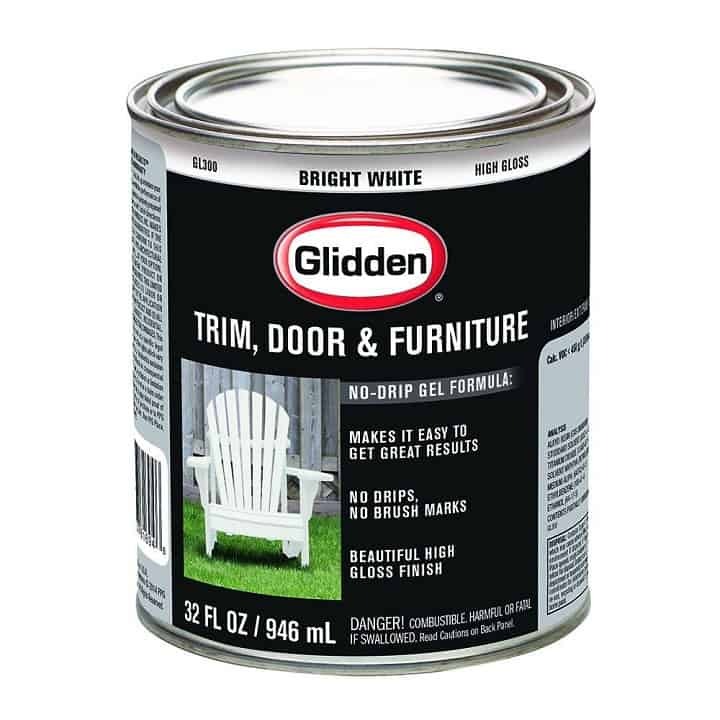 In the past, I have used Glidden paint and it was wonderful. It’s easy to clean and it’s durable with kids. The last paint project in our old house was to paint our media center I happened to discover Glidden paint, and I am sold forever. It’s like a no-brainer and a super time saver. When I use something, I have to think about my kids first as they are into everything. For instance, they really don’t need to check out my china dishes under the cabinets, but they would like to explore a whole lot of the world. Hence, I look for the product I can handle and easily clean with them. It’s a personal choice but I always like white trims as they just look very clean and crisp. They make spaces look wider. I know it’s delusional but to be honest, that’s how I feel. On top of it, if you are not using white paint on your wall then you should consider it, because it will make your wall color pop! Any 2 inches angle brush would work great. I would also like to have that little bucket with the liner to make your process easier. I like to use a brush in order to apply paint as opposed to a small roller. I have had experience with both, and ended up liking to use a brush over the roller for trims with exception of painting wider trims. The roller works best when it comes to slab doors. I would like to mention that if you going to paint the first time, don’t try to remove your trims… you will be asking for a mess. Normally I would remove my doors, but this is the first time I didn’t even bother, and there is no difference. Well, I wish I would have known this before! If you are painting white and have children, use the paint I mentioned above, and you will thank me later! There are no visible brushstrokes with this paint, and no drips. It’s a great formula! 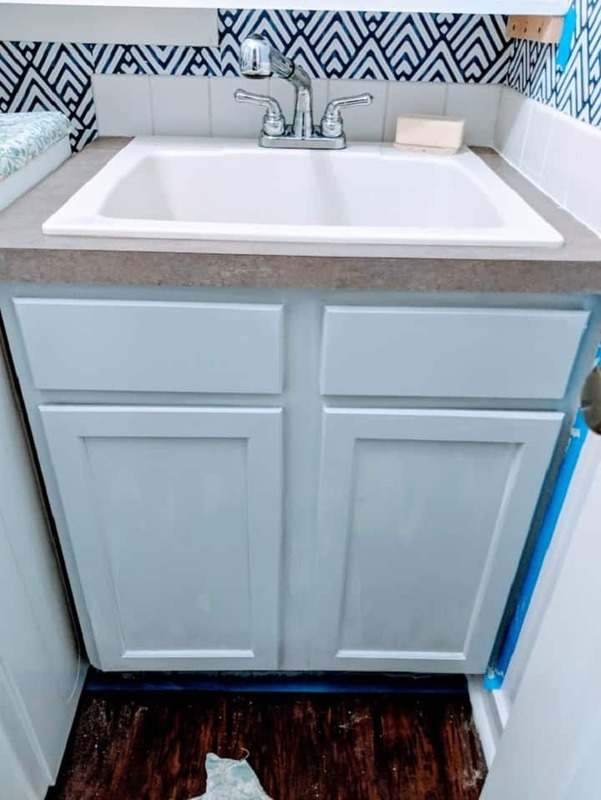 The only drawback is that it’s a little more expensive than the other doors and trim paint you would use, although it’s totally worth the price. I recommend extra high gloss sheen. Take the tape off when the paint is a bit wet, but not too wet. It’s very easy to remove the tape on wet paint as opposed to when it’s totally dried. I learned this with my personal experience. 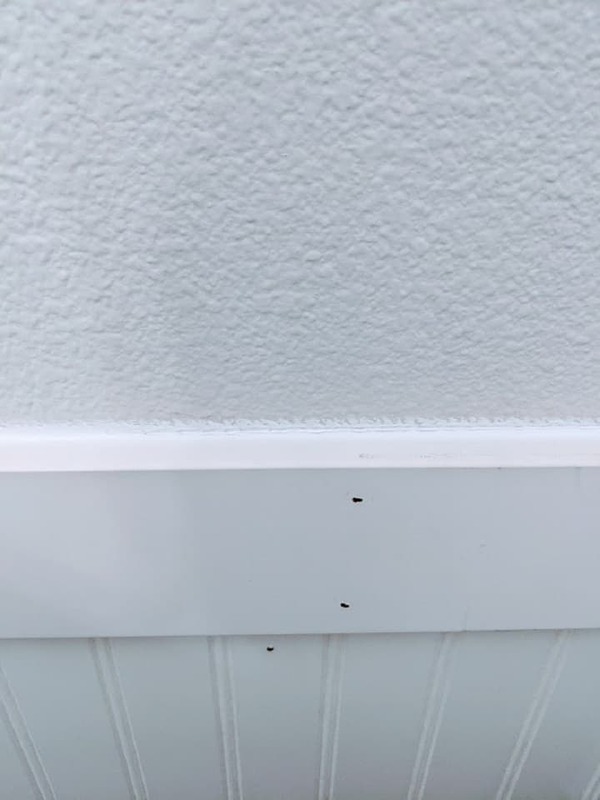 It doesn’t take off any paint and the tape comes off very easily. If your paint is completely dry, then use the sharp knife to loosen up the tape on edges. MDF is not great to work with, but mostly builder’s homes have that kind of wood all over. If it gets bad or rotten the only way to fix it is replace it. 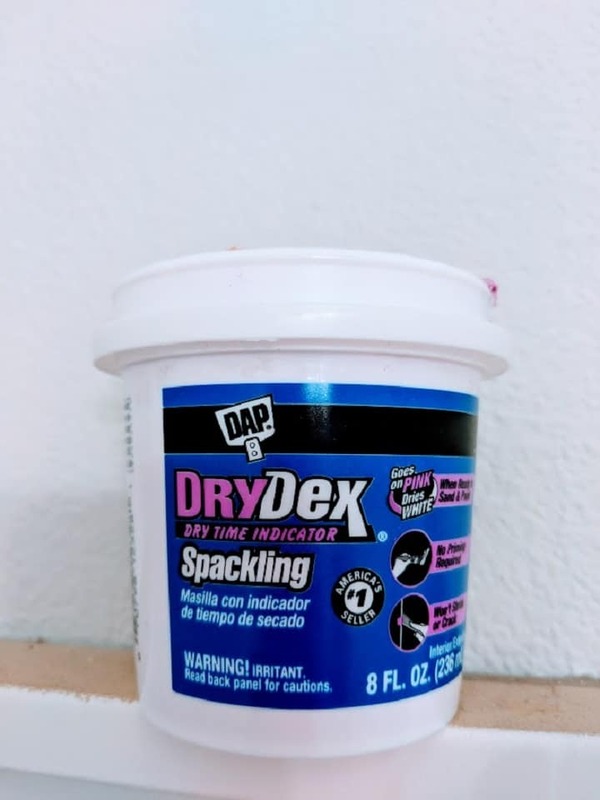 However, I have recently learned the trick is that if you use DryDex with a bit of water and then place DryDex on it like plaster, it works the best. As you can see below in the picture of my casing around the door. See, it works like a charm! 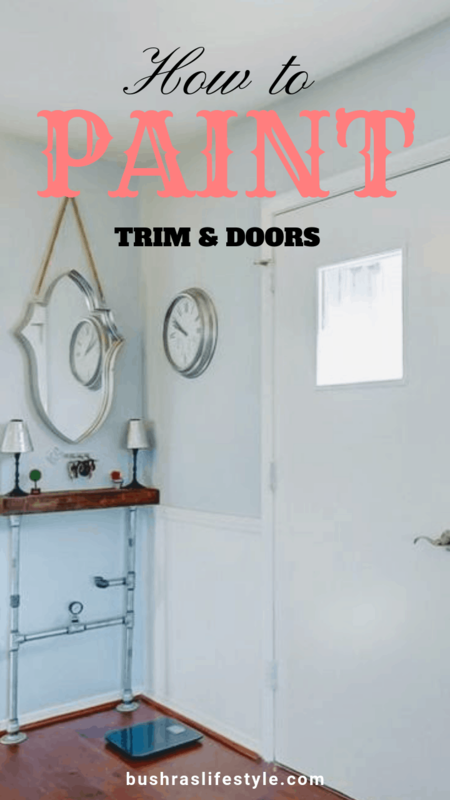 I have written this tutorial based upon my personal experience on how I paint doors and trims. However, I am not a professional painter. 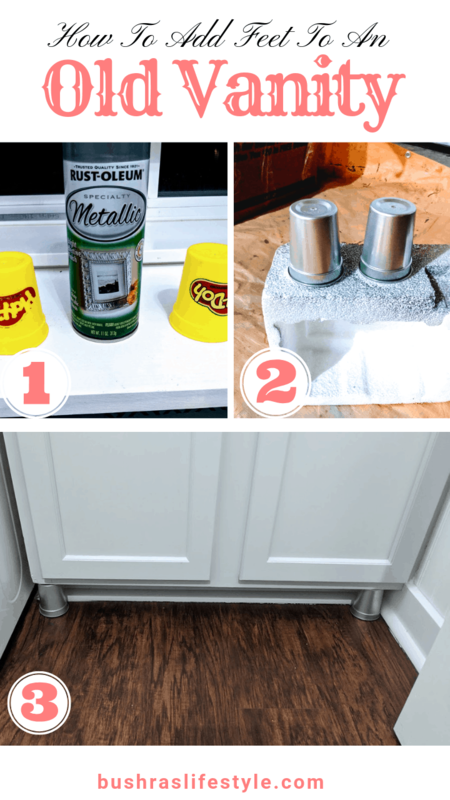 I am just a gal who shares how to save money while making your house beautiful by doing different inexpensive DIY projects. I have been painting since 2010 when we purchased our first home. Hope the tutorial helps. 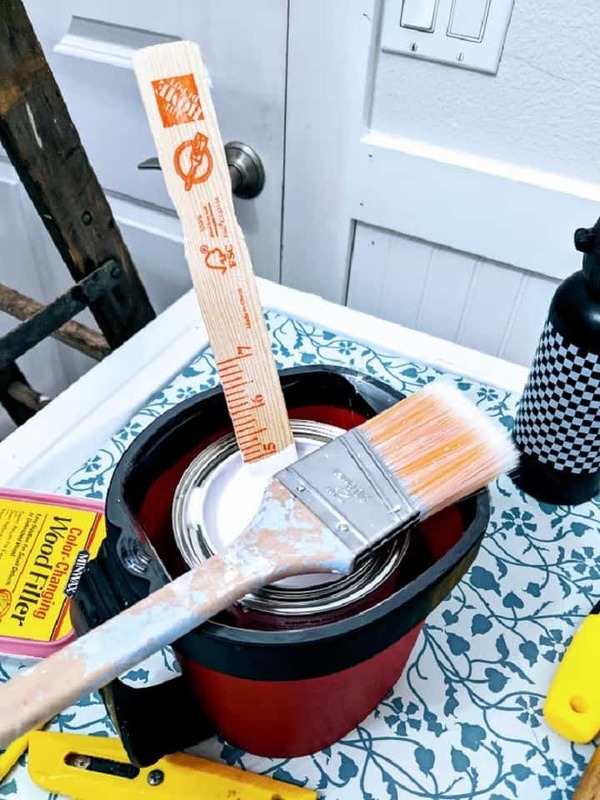 I would love to hear about your favorite paint or any special supply you prefer to use when you paint to make your life easy!